A point and shoot camera is a combination of a versatile lens, a small form and a high-resolution sensor that is capable of making sharp images. These cameras have a sensor that is larger than the one on a smartphone, has optical zoom, something that smartphones don’t have, and optical image stabilization to produce virtually blur-free photos. These cameras are better than that of traditional smartphone systems but are optically inferior to DSLRs cameras and mirrorless cameras because of the smaller sensor size and the lack of manual shooting features. Point and shoot cameras have continued to generate interest, even at a time when the photography world is increasingly split into smartphones and interchangeable lens cameras. Why do I Need a Point & Shoot Camera? The most important reason is surprisingly simple. It is more powerful while still retaining a compact form. 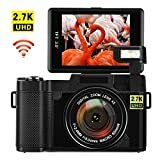 A point and shoot camera can appear to be an excess in a world that is either shooting with the increasingly smarter smartphone camera or the bulkier interchangeable lens cameras. The answer is your smartphone won’t zoom! At least not in the traditional way and certainly not without additional accessories strapped to the front of the lens. Plus, your smartphone has a tiny imaging sensor inside it. The tiniest of all cameras. A compact point and shoot, although still tiny, has a bigger sensor and more powerful Auto mode. Not to mention the powerful built-in flash. Plus, a smartphone can be unwieldy when it comes to shooting images. A point and shoot camera is a compact system. For the average photographer who might not be an enthusiast and might not be carrying a camera at all times, size is an important consideration when choosing a camera. A small camera gives him/her the impetus to carry a camera whenever s/he leaves home. A point and shoot camera do give the obvious advantage of a larger sensor. With it you get the advantage of optical zoom and optical image stabilization. Thus a point and shoot camera come across as a better package than a smartphone, at least regarding shooting better imagery. No digital camera buying guide can be complete without a reference to the megapixel count of the camera. More than half of the camera sales around the world take place around the simple specification of the camera’s megapixel count. But as I have already mentioned countless times, megapixels will only matter if you wish to print big or crop during post-processing. If you are only going to share your images on social media, even a 10-megapixel sensor will produce excellent images. That said, higher resolution gives you more detail. At least initially when you jump from 5-6 megapixel to 10-12 megapixel. But then as you keep on piling the pixels, the individual pixels get more tightly packed. This leaves very little room for the individual pixels to capture light. The effect of that is noise. Noise appears like specs of white, black and colorful dust. There are two different types of noise. But that is beyond the scope of discussion here. You would hardly notice the problem when shooting in broad daylight. But when shooting after dark or in low light situations, the sensor will capture a lot of noise. To counter this problem and to produce better images even in low light with high-resolution small sensors, engineers devised a new type of sensor wiring. It is known as Back-side Illuminated (BSI) or Back-Illuminated sensor. I have discussed the low light noise problem of small sensors. These high-resolution sensors struggle in low light because of the lack of space for them to collect light. Why? Because when you increase the number of pixels, keeping the sensor size fixed, they get tightly packed. Also, because individual pixels have a microlens on top of them. These filters out all of the wavelengths of light except for the color that the filter is. As you can probably guess, there is some loss of information because of this ‘filtering’ of light. A typical sensor has pixels in three color filters: Red, Green, and Blue. There is twice the number of green filters as there are blue and red filters. The blue filter will accept blue color and reject every other color. So, does the red and the green filter respectively. Later on, this information is used in a process known as Bayer Demosaicing to construct a complete picture. Plus, they are accompanied by wiring that carries the electronic signals from the pixels to the image processing unit. And this wiring is also on the same surface on which the pixels are. This consumes additional space. A majority of the best selling point and shoot system that we have discussed have a small sensor the size of 1/2.3″; which is tiny, to say the least. A tightly packed array of pixels doesn’t do any good. Back-side illuminated sensors (or also known as back-illuminated sensors) are a type of sensors which have the wiring on the reverse side of the sensor instead of being on the same surface as the pixels themselves. This unique architecture frees up a lot of room (and reduces the clutter) for the pixels to collect additional light and in the process produce a cleaner noise-free image. If you have the option, always opt for a lens that has a back-side illuminated sensor. On a small sensor camera such as the point and shoot systems that we are discussing right now, BSI sensor technology is a great advantage to have, especially when shooting images in low light. Optical zoom works by moving tiny optical elements inside the barrel of the lens to move a subject that is far away and produce a bigger image of it on to the sensor. This is done by moving the optical elements of the lens and altering the focal length of the lens. As the focal length is changed, the field of view gets narrowed (when the lens is zoomed in, vice versa when the lens is zoomed out) and the subject gets larger. Digital zoom, on the other hand, is purely software driven. The individual pixels in an image are magnified using software and an impression of ‘zooming’ is achieved. In fact, the image is never optically zoomed in. If the software does a great job, you will be able to use a moderately zoomed in image. But as with all digital zooms, the image does break up and get pixilated after a while. Look for cameras that have a reliable optical zoom and never fall for the digital zoom feature of the camera. No matter how much it is glorified. One of the must-have features on your compact point and shoot camera (and for that matter most systems). Image stabilization helps you to ‘stabilize’ an image when you are hand holding the camera and using slow shutter speed. Which is like every other time. Just like zoom image stabilization comes in two varieties: optical and digital. Optical image stabilization is referred to by different names. Nikon calls it Vibration Reduction. Canon calls it Image Stabilization. Sony calls it Optical SteadyShot Image Stabilization; and so on. They are the same thing. Optical image stabilization works by moving tiny gyros inside a lens. When your hands move while making an image, pressing down the shutter button half-way engages optical image stabilization. These tiny gyros know when your hands move and in which axis, so that they can turn and accordingly compensate for that movement. The idea it so brings an image back into focus on the sensor. Image stabilization comes in different varieties and strengths. One is the plain vanilla type which stabilizes hand movements in both axes. Then there is the second variety which stabilizes only vertical movement and disregards any panning movements. The third mode only activates when the shutter is fully pressed down. They each have their utility. Some image stabilizations are rated two stops or three stops and more. These are stating how much the lens can ‘compensate’ for any unintentional hand movement. Typically, when you shoot with a lens without image stabilization, the trick to get a sharp image is to use a shutter speed that is slightly faster than 1/the focal length of the lens. With a two-stop image stabilization system, you would be able to shoot the same image, using a shutter speed two times slower than what the inverse of the focal length allows you to, hand-held and yet get a sharp image. The best selling point and shoot systems would have image stabilization. 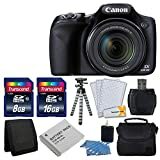 E.g., the Canon PowerShot SX710 HS comes with an Intelligent IS. This system would correct for every type of hand movement in the Normal Mode. When engaged in the Panning mode, it would detect when the camera is doing a panning movement and will automatically disengage stabilization. But apart from these two common stabilization modes, the cameras have a host of other technologies bundled into it. For example, the Active Tripod mode detect when the camera is mounted on a tripod and disengages image stabilization completely. Digital image stabilization, on the other hand, is driven by software. And just like digital zoom, there is a bit of software editing in place to bring an image into focus. Extreme hand movements would not be corrected, but minor hand movements would be. At the end of the day opt for optical image stabilization rather than digital image stabilization. The best selling point and shoot cameras would have optical image stabilization. The lack of an optical viewfinder means the rear LCD screen is your only window to compose your images. That is the precise reason why you need a large, bright and sharp rear LCD screen. Something like what the Canon PowerShot ELPH 360 has. The rear LCD screen must have a high resolution to display all the details that the senor captures. The rear LCD screen is also where you review the image, decide to keep it or cull it. So, it is imperative that it has a lot of resolution. The resolution on the Canon PowerShot ELPH 360 is 461,000 pixels, and it covers the entire 100% of the frame that the sensor sees. Pop-up flash denotes the small flash unit on your camera that fires just enough light to produce a properly exposed photo. This units are small but produce an intense beam of light. The Guide Number of these flash units are small, so anything too far away from the flash will be underexposed. But, they are better than having to shoot with a high ISO number. Some, compact point and shoot systems do come with hot-shoe connectivity for mounting an external flash. These cameras are great for shooting in low light. 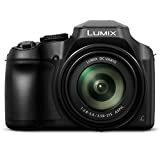 One of the best selling point and shoot cameras, the Panasonic Lumix DC-FZ80 comes with a pop-up flash that has a range of 0.98 to 46.26′ in the wide angle. The same in the telephoto mode is 4.92 – 20.01′. If you intend to use an external flash then, by all means, pick a camera that will allow you to mount an external flash. The external flash will fire a more powerful beam and will have faster recycle time frames, meaning more shots with the smallest intervals between them. If you would be shooting mostly in good light, then this is not necessary. The Sony DSC-W830 has an 18.2 megapixel 1/2.3″ CMOS sensor as its heart. The sensor is capable of producing images of the resolution 4896 x 3672 pixels. Large enough for a 16″ print quite easily at 300 DPI. For regular 5 x 7″ prints the resolution is more than sufficient. Compact point and shoot cameras have the form factor on their advantageous side. The Sony DSC-W830 is no different. The built-in lens is the other versatile thing about these cameras. The built-in Sony G lens on the camera has 11 elements arranged in 10 groups including 5 aspherical elements. The focal length of the lens ranges from 4.35mm to 86mm (35mm equivalent of 25 to 500mm). The maximum aperture of the lens is f/3.5 to f/6.5. The lens comes with Optical SteadyShot Image Stabilization. 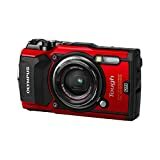 The other features of the camera include a continuous shooting speed of 10 fps, 3″ LCD screen, a built-in pop-up flash and full HD video recording at 60p.